No. 03 - Lonestar Memories is a popular perfume by Tauer Perfumes for women and men and was released in 2006. The scent is leathery-spicy. Projection and longevity are above-average. It is still in production. "The scent of a lonesome rider, wearing old jeans and leather jacket, after a long day on the horse in the dry woods, preparing his coffee on the open, smoky fire." Was I mad? It's gorgeous! 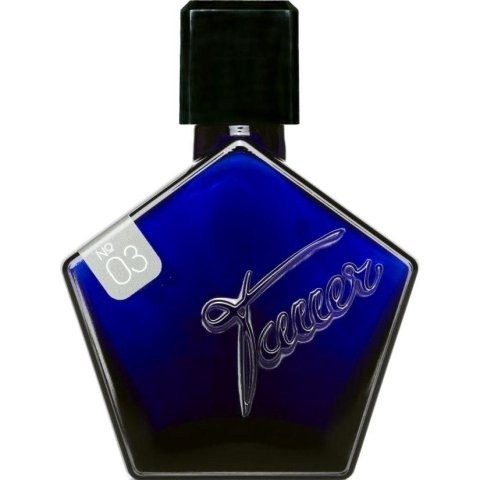 And now that my nose has become acclimated to unisex fragrances over the years and Andy's style and "Tauerade", I realize how I almost missed out on such a gorgeous fragrance. Smoky leather, resins, labdanum, sandalwood and florals. The dry down is beautiful and comforting and so "real". And no, it isn't just for cowboys. It's for cowgirls, too. And even people who have never even been on a horse. It's simply a beautiful fragrance. Saddle, campfire, and Marlboro Man not required. To me this seems like a very masculine scent, even though it seems to be categorized as unisex. Very smoky at first with an underlying whiff of celery (that must be the sage and carrot seed), and underneath a faint sweetness. Super interesting and complex. I wouldn't wear it for myself, but I'd definitely put it on my man. I'm so loose for birch. This wood has great impact on me and I'm so greedy for its leathery tarry darkness. 03 Lonestar Memories is a tatterdemalion smell verging to famous American apothecary natural perfumes, which is a keen and professional detailed translation. 03 LM opens pungent and tousled leathery, like someone survived from a bloody thunder storm and rain. It is integrated, solid, pharmaceutical, with massive volume of leather and resins. But not dry, it's wet and smelly that bears slight yummy taste inside. 03 LM is a strange fragrance, undeniably repulsive in the first try but so charming and desirable as you go with. It has marvelous longevity; about 12 hours on my skin; so as great projection. LM is similar to Tauer’s earlier l’Air de Désert Marocain, but far less comfortable. The amber and incense of l’Air are replaced with rubber and tar in LM. By the heart, LM smells equally earthy and woody tied together by the almost sweet rubber note. The drydown is the best part, though. The floral note (jasmine? carnation? ), which really only appears well into the heart, lasts until the finish where LM seems like a dry, smoky, floral tea. I don’t wear LM very often, but it makes me think when I do. Write the first Review for No. 03 - Lonestar Memories!